Head men’s basketball coach Ritchie McKay announced the 2018-19 schedule on Wednesday. In search of its 3rd straight 20 win campaign, Liberty will open the season on November 8th in the Vines Center. The non-conference portion of the schedule is highlighted by 3 games against Power 5 opponents, the most P5 opponents Liberty has ever played in a single season. The first of the three meetings comes on November 19th in Nashville against Vanderbilt. The Flames will also play Alabama, a 2018 NCAA Tournament team, on December 18th in Huntsville, Alabama as part of the Rocket City Classic. McKay’s squad will also make the trip across the country to face the Bruins of UCLA on December 29th. Liberty had the game at UCLA on the schedule last year, but it had to be moved. The Bruins also made the 2018 NCAA Tournament and welcome in a highly touted recruiting class. Not to be overshadowed by the P5 opponents, the Flames will also play at Georgetown on December 3rd. It will be the 2nd ever meeting between the Flames and Hoyas, as Liberty lost to Georgetown by 9 in 2012. The Vanderbilt game is part of the Commodore Classic that allows Liberty to have two home games, as the Flames will host Alcorn State and Savannah State on November 23rd and 25th, respectively. The home slate begins with a two game home stand on November 8th against Maine Fort Kent and Trevecca Nazarene on November 13th. Trevecca is led by former Liberty assistant Omar Mance. 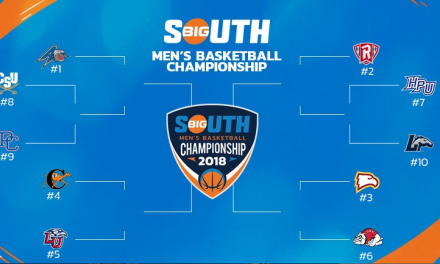 2018 NCAA Tournament team Georgia State visits the Vines Center on December 1st, while the Flames will also host South Carolina State (December 11) and Kentucky Christian (December 15) in non-conference. The rest of the non-conference slate features trips to Kent State (November 16), Navy (November 28), and St Petersburg, Florida to participate in the St Pete Shootout. 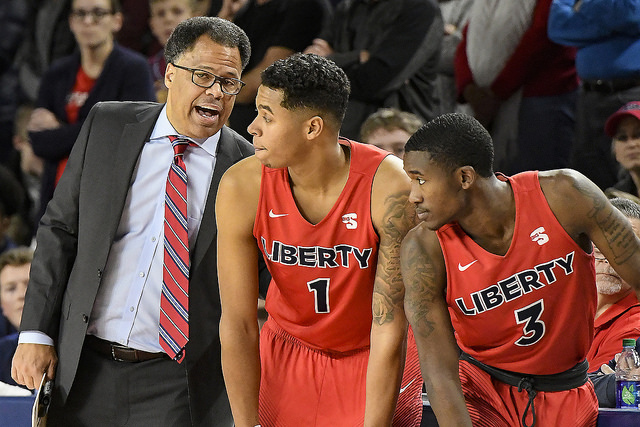 Liberty will begin the Shootout against Alabama State on December 21st, and will then face either Campbell or Austin Peay on December 22nd. The Navy game is the first in a home-and-home series with the Midshipmen making the return trip to Lynchburg next season. Liberty will also begin a home-and-home series at the Vines Center with Radford next year. The conference schedule, which was released earlier this summer, begins with a trip to Florida to face Florida Gulf Coast on January 5th and Stetson on January 9th. The first ASUN home game will be played January 12th against Jacksonville. Defending ASUN champ Lipscomb pays a visit to Lynchburg on January 29th. The regular season home finale will be played February 26th against Kennesaw State with the final regular season game played March 1st at NJIT. The ASUN tournament begins March 4th.